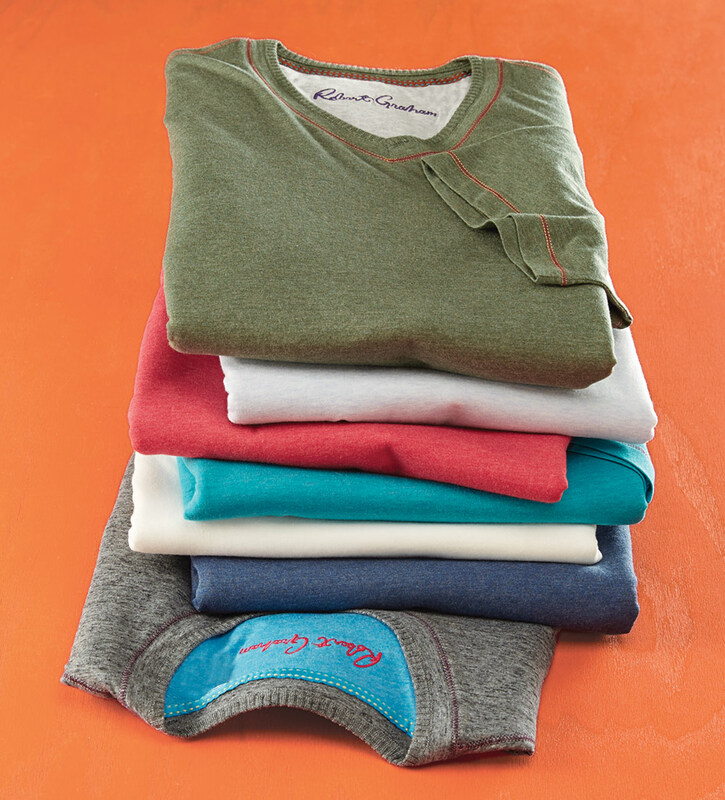 Heather texture in all-natural blend of super soft, 60% cotton/40% modal. Hemmed short sleeves, contrast stitching detail, straight bottom hem, side vents. Machine wash. Imported.